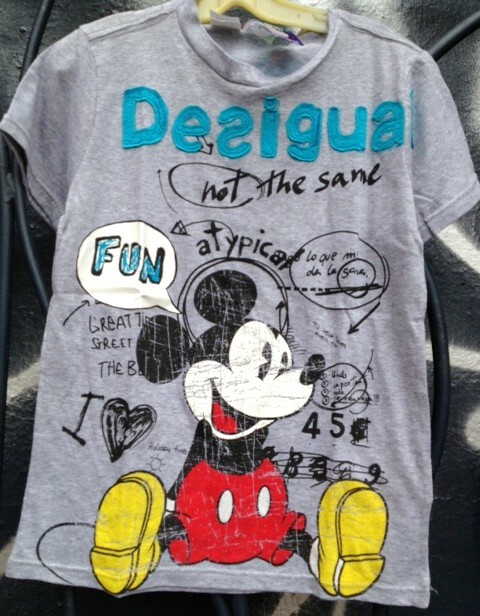 This new Mickey Mouse T-shirt for kids from Desigual is part of the new spring 2013 line. We’ll post more of the kids collection on our blog in the days ahead. A little history about the iconic mouse created by Walt Disney in the garage behind his California home. 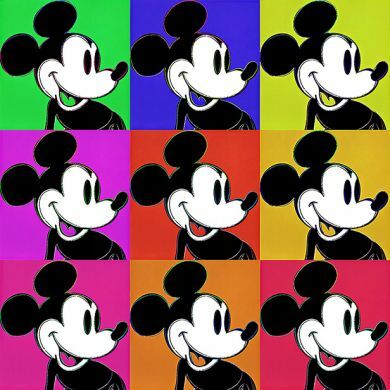 Mickey started out in 1928 as Oswald the Lucky Rabbit, but after selling the cartoon to Universal, the studio hired most of Disney’s animators and told Walt they retained the rights to Oswald. One animator, Ub Iwerks, remained loyal to Disney and they spent long hours turning the rabbit into a mouse, originally named Mortimer. The first two Mickey shorts went without notice until Steamboat Willie, the first cartoon to feature music and sound effects synchronized with the animation. It premiered in New York in 1928 and was an instant hit. A series of Mickey Mouse shorts appeared within a matter of months, including Plane Crazy (Source: Time magazine). Karnival Kid (1929) was the first Disney cartoon where Mickey spoke. He actually sang: “Hot dogs! Hot dogs!” Mickey creator Walt Disney originally voiced the world’s most famous mouse (see video below). He and his brother sang the cats singing. The little rodent, now 84 years old and still wearing the same clothes, went on to inspire a TV show, theme parks and continues to endear himself to new generations of kids and adults. 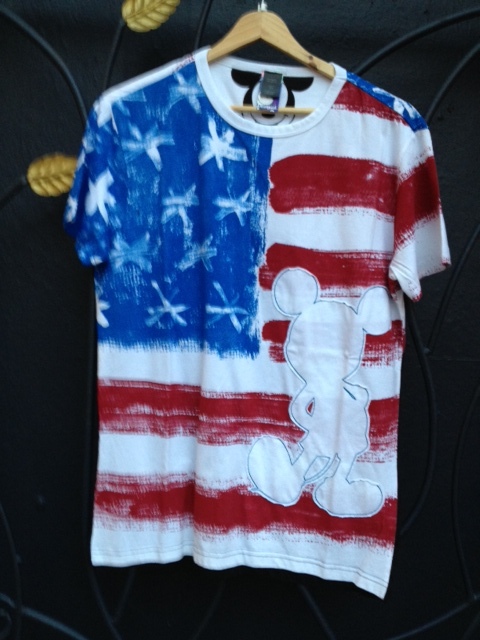 This latest Mickey shirt for kids is from Desigual, the Barcelona-based fashion line, which also produced a Mickey T-shirt last year for adults and a Minnie top for women. 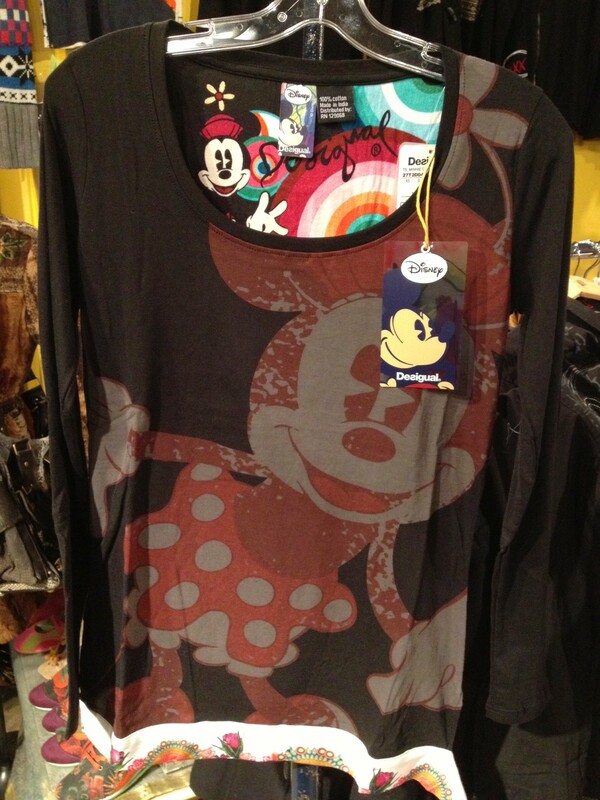 All three Desigual-Disney shirts (below) are available at Angel Vancouver, located at No. 2 Powell in the Gastown district of Vancouver, Canada. We’re on the corner of Powell & Carrall in Maple Tree Square, in one of Vancouver’s oldest buildings. By the way, I went to Chouinard Art Institute in Los Angeles, where Walt Disney was a patron and would sometimes visit the school. 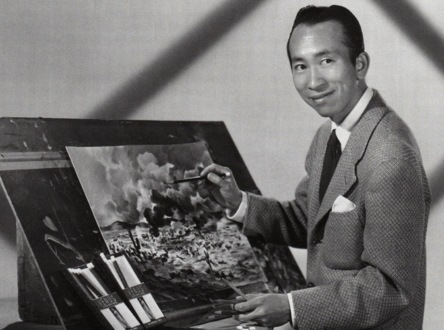 One of my fellow students was Kim Wong, whose father, Tyrus Wong, was a painter who did the fabulous watercolour-like backgrounds for the 1942 classic animated Disney film Bambi. I talked to Kim last week. Her dad Ty now is 102 and still making kites and flying them (with Kim) on the Santa Monica beach. In 2001, he was honored as a Disney Legend. Click here for a 2004 TV segment on Tyrus. Video | This entry was posted in Desigual, Desigual for kids and tagged Angel Handpainted clothing, Angel of Vancouver B.C., Chouinard Art Institute history, Desigual, Desigual Canada. Desigual Vancouver B.C., Desigual for kids, Desigual for kids 2013, Desigual for kids spring-summer 2013, Desigual in B.C., Desigual Mickey Mouse shirt for kids spring 2013, Mickey maus, Tyrus Wong is a Disney legend, Walt Disney and Chouinard Art School. Bookmark the permalink.